ARLETA, LOS ANGELES (KABC) -- Los Angeles police are looking for two men responsible for the shooting and attempted murder of a 17-year-old in Arleta. Police say the victim got into an argument with two men in the area of Woodman Street and Osborne Avenue on Monday around 1:35 p.m.
One of the suspects then pointed a handgun at him and shot him in the leg, police said. The two suspects then fled in a silver Toyota Camry with tinted windows. 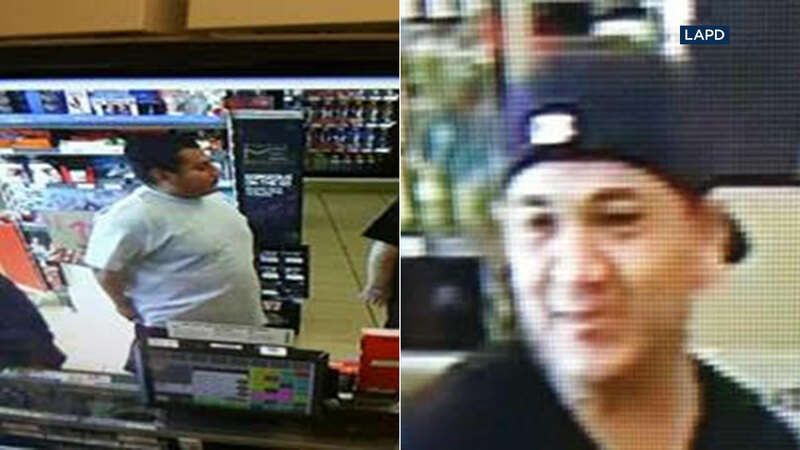 Two suspects in an attempted murder in Arleta fled in a silver Toyota Camry on Monday, Dec. 19, 2017, police said. The victim was transported and treated at a local hospital. Police asked anyone with information to call Mission Area Detective Venus Hall at (818)838-9810. Anonymous tips can be provided to Crime Stoppers at 1-800-222-TIPS.